Mom made meatless meat loaf and put it in muffin pan so that it was bite sized. I loved them! They were GREAT!! 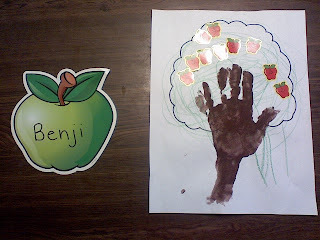 Before fall break Benji made an apple tree! Isn't it so cute! That is his forearm and hand that was in paint! It wasn't that long ago that he would have pitched an absolute fit before getting in paint. He still wants it cleaned off as soon as possible, but at least now he will do it. The apple is Benji name tag for the unit. We had a laugh when I walked into Britt's room this evening. 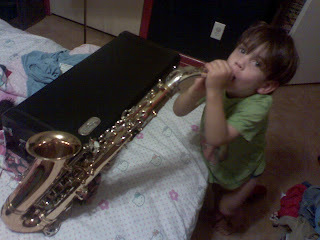 Sitting on the bed was Benji trying to figure out how to play the Alto Sax. It was so cute, I obviously had to take a picture. Looks like we have another musician on our hands. He does love to sing songs and make up his own songs too... Such a cutie. 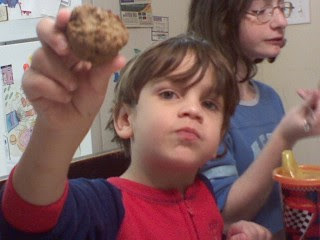 I am Benji... if you are new here... there is alot about me. 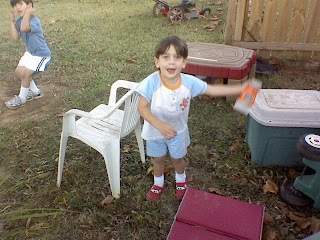 I was born with congenital heart defects that caused me to have closed heart surgery when I was just a week old. Either due to the surgery or as a companion to the defects I also have sensory processing disorder, hypotonia, ketotic hypoglycemia and I also have some issues with me feet. I am the youngest of 6. Just finished church and leaving to do errands around town. That's me with one of my sisters, Kimmie. 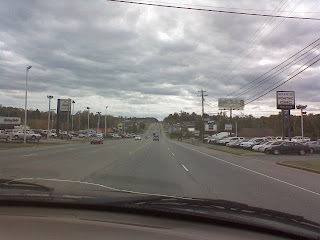 On our way to I believe Lowe's. Mom and Dad have decided to destroy my living room and keep me from watching TV... it's going on 9 days now. Lowe's is done... now mom says we have to have gas so we can go somewhere tomorrow.. I don't know where, my OT got rescheduled... hmmm. Cool! we got to go to Burger King for lunch and I got Chicken Fries! (not really but that is what I call them. 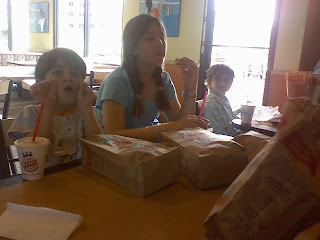 It's the chicken tenders kids meal) That is my sister Britt next to me and Josh on the other side. 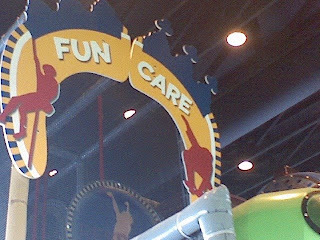 This is the play area at Burger King! I ran through the tubes and made my sisters chase me. I hid from my brothers too! And now we are home... we had to run back to Lowe's for something... Mom ran in while we waited for her with dad. This is our house... see Bob? I don't like nap time... I'm very afraid I will miss something. Truth is I am very tired and I am afraid if I sit still I will fall asleep. 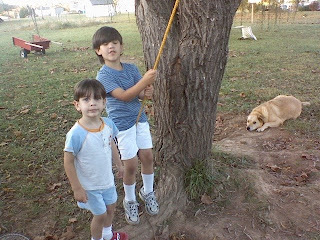 Me and Bubba playing with the swing while Daisy is keeping an eye on us. 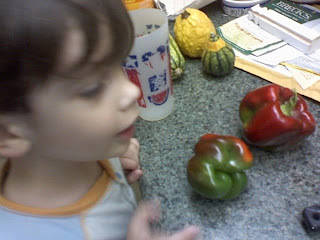 Kimmie found some peppers in the garden and she let me and Bubba help... it got dark real quick didn't it? Here's the peppers we found! 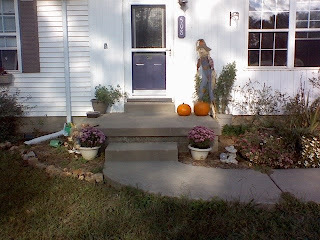 And there is some of the gourds from the pumpkin patch yesterday. 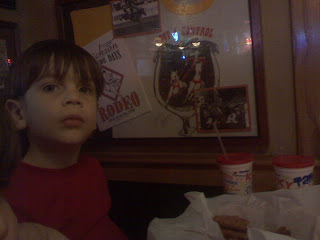 We went to www.KellersCornyCountry.com and had a blast of fun yesterday. If you are in the area, you should go! Mommmmmm.... i'm tooooooo cute to go to bed. 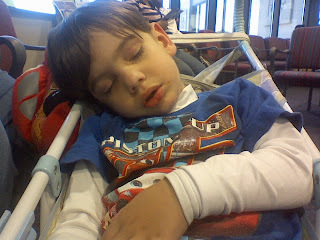 EDITS:: That night Benji seemed to be fine... it wasn't until the Monday morning. 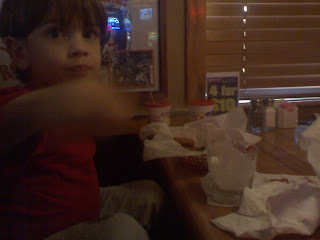 All progress that we had made in the potty training department was eliminated. He didn't have the white/grey poops like he used to... but they sure where stinky and it took nearly a week to get his system back to normal. So, back to the no milk product diet. So... after a crazy day we manage to get Benji to take a nap. You may ask what exactly was going on that we would love the occurrence of a nap? 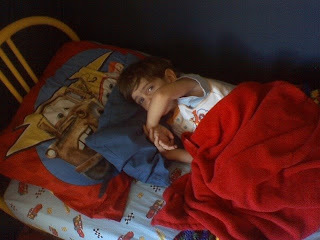 This morning was a struggle to get going... he wanted today to be a 'sleep' day. Convinced to get dressed and get going we made it to PT though. He didn't really want to listen at therapy. He was showing his independence and stubbornness alot. 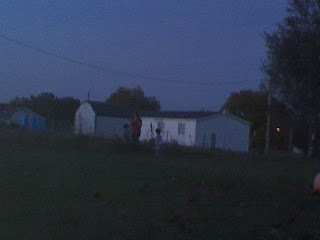 When we went to pick up J to take him to OT all Benji wanted to do was run and play and be very hyper. 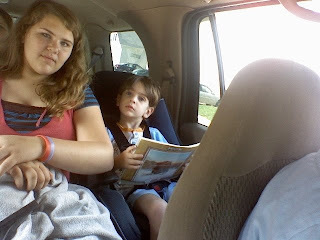 Once we got J in the truck... Benji was talking a mile a minute. Once we got on the interstate.. The truck got VERY quiet... very very quiet. So... Benji slept in the stroller through most of the OT session and stayed in it till we got back in the truck. And then he had lunch. And was off to the races again.